The English Premier League is set to come to an end on 12th May 2019 after a whole host of matches taking place from its start on 10th August 2018. Currently sitting at the top of the league table are Liverpool, closely followed by Manchester City and Tottenham. Of course, while all of these teams are doing well, it is interesting to look at the players that have made an impact on this season so far. Here, we are going to look at the top Premier League playersand their achievements in the 2018/2019 season so far. Keep reading if you’d like to find out who has scored the most goals, had the most assists and much more in order to place the right bet. When anyone watches a football match, the most exciting part tends to be when a goal is scored, and the crowd erupts. So far, in this season, there have been many matches made and some players have managed to rack up a lot of goals for their team. 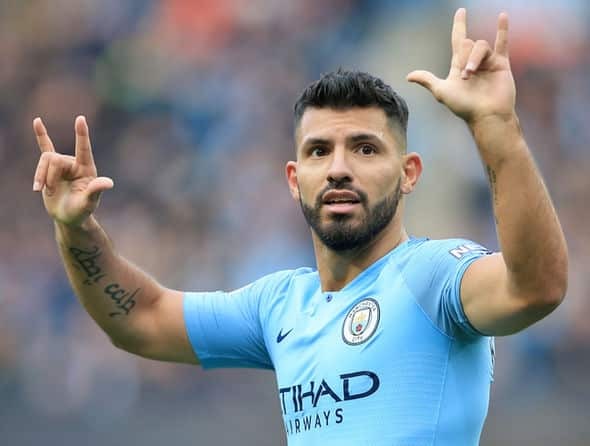 The player currently with the most goals scored is Sergio Agüero who has scored 18 goals in total for his team Man City. Close behind this player are Pierre-Emerick Aubameyang with 17 goals for Arsenal, Harry Kane with 17 goals for Spurs, Sadio Mané with 17 goals for Liverpool and Mohammed Salah also with 17 goals for Liverpool. With plenty more matches to be played, it is expected that these players will be fighting it out to be the top goal scorer overall. While a goal scorer can often be regarded as a top player, it is also important to recognise those who assist the player in making the shot that could eventually win the match. Eden Hazard who plays for Chelsea has so far this season made 11 assists which puts him at the top of the table in this area. Next up is Ryan Fraser who has made 10 assists for AFC Bournemouth and Christian Eriksen who has made 9 assists for Spurs. It’s important to look at assists when using sports betting sites as you will want to know which players can help the top goal scorers make the shot and get you that payout. Another thing that we are going to look at when thinking about the top players in the Premier League so far this season is the players who have managed to make the most passes. This can help get the ball to where it needs to be and make sure that the right team wins the match. In the first position is Jorge Luiz Frello Filho who has passed 2,553 for Chelsea this season. Also, near the top of the table are Virgil van Dijk who has passed 2,470 times for Liverpool and Antonio Rüdiger who has passed the ball 2,341 times for Chelsea. A Premier League team wouldn’t be complete without a top goalkeeper and this season, we have seen some really impressive performances from some of the goalkeepers on the squads. Alisson Ramses Becker who plays for Liverpool has managed to land himself at the top of this clean sheet list with 17 in total. Below Becker comes Ederson for Man City with a clean sheet of 14 and Kepa Arrizabalaga for Chelsea with a clean sheet of 9. While a clean sheet is very impressive and goalkeepers who achieve this are recognised, it is also important to look at the number of saves that Premier League players have managed to make. Leading the pack this season for West Ham is Lukasz Fabianski who has managed to save a huge 119 goals so far. This is much more than Neil Etheridge in second place who has saved 104 for Cardiff and David de Geo who has saved 97 for Man United. It’s also worth noting that Ben Foster has also saved 97 goals for Watford putting him in joint third place. With so many saves under his belt, Fabianski is performing very well this season and is one of our top players. The final players that we are going to look at in the Premier League are the players who have made shots at the goal, some scoring and others not. At the top of our list is Mohammed Salah Ghaly who plays for Liverpool and has 104 shots under his belt so far. Next up is Aleksandar Mitrovic who has 102 shots for Fulham and Serio Aguero who has 95 shots for Man City. While these players might not have scored all of these goals, they are all to be commended for their performance and the impressive shots that they have made. There are many games left of the season and so it can be hard to predict who will take home the Premier League Trophy in May. We can, however, look at the performance of all of these players and the current league table so far. Right at the top of the league are Liverpool, followed by Manchester City, Tottenham, Arsenal and then Manchester United. All of these teams have done very well this season so far and are expected to gain even more points as they play more matches. If you were to place a bet on the winner of the Premier League 2018/19, you should look at their current position and the performance of their top goal scorers and goalkeepers. This way, you can make an educated guess and hopefully win yourself some money on the day of the final. The English Premier League showcases some of the top teams in the country and so it is clear why a lot of these players have chosen to play for these teams. Look out for some of our top players this season and see if they can improve on their already impressive stats in terms of assists, goals scored and even clean sheets.